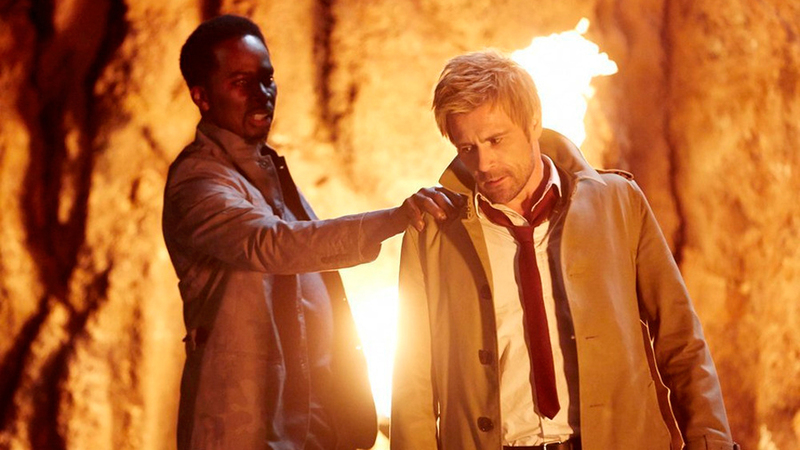 Constantine himself shines in what otherwise is a fairly uneven series premiere. Well, we’ve made it folks, the final big launch of DC Comics’ impressive TV slate. Based on the excellent Vertigo Comics series Hellblazer, NBC’s Constantine transports self-described Exorcist, Demonologist, and Master of the Dark Arts John Constantine to the small screen. Considering Constantine’s penchant for the darker, more magical side of the DC Universe, the character seemed a natural fit for that comic book procedural the networks seem to be craving. Adding to the show’s pedigree is DC’s go-to writer David S. Goyer, who co-wrote both The Dark Knight trilogy and Man of Steel along with collaborator Daniel Cerone. However, despite all that potential, Constantine feels rushed, and while it has a few great elements, the nuance of the material seem to have been lost in the shuffle. But more on that later. The series begins with John Constantine (Matt Ryan) in an insane asylum attempting to forget a botched exorcism when an old, deceased friend summons him to the U.S. (via possession and a trail of cockroaches, no less). He then travels to Atlanta, where he finds he must pay his debt to his friend by protecting his daughter, Liv, who’s being hunted by a demon. 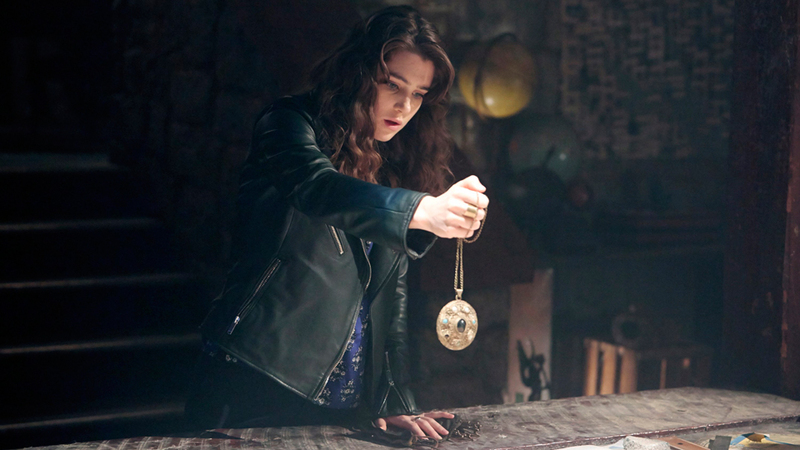 She begins to wield her father’s ability to sense demons, angels, and other supernatural beings via a pendent Constantine gives her. With the pieces all set up, it’s time for Constantine to get out of his rut, call in a few favors, and save Liv. Matt Ryan is fantastic as Constantine and is the best thing about the show by a mile. He already has a leg up on the regrettable 2005 Constantine movie by being both British and not Keanu Reeves. Ryan is able to imbue the character with the same wit and renegade spirit that made Constantine so endearing in the comics. And while one can sense the FCC breathing down the show’s neck (Constantine is without his beloved cigarettes and curse words), the essence of the character is there, and Ryan’s portrayal can only improve as he gets more comfortable in the role. The other characters, however, don’t fare nearly as well. Liv is barely given any backstory before being turned into the pilot’s question-asking machine. While a heaping amount of exposition is a necessary evil in a pilot, Liv isn’t integrated into the proceedings very well, making her feel more like a vehicle for delivering plot information than a woman being drawn into the world of magic. It also doesn’t help that actress Lucy Griffiths isn’t the best in the role, delivering her lines with all the enthusiasm of a bored voice over artist. Constantine’s best mate Chas isn’t given any kind of substance either, just sort of tagging along with the group. Aside from the fact that he cannot die (least not in the traditional sense), he contributes little to the proceedings. Only Ritchie, played by Jeremy Davies (Lost, Justified), made any kind of impression as a hacker from Constantine’s past. Fellow Lost alum Harold Perrineau also drops in from time to time as an angel named Manny, who seeks to employ Constantine’s help in a brewing demon war. The plot itself feels disjointed and more than a little undercooked. There’s a saying when world building, “Is this happening at the most interesting point it can?” The meaning is if all the interesting things happen before the story, why not just set the story when those interesting things are happening? “Non Est Asylum” could have used that saying, as the narrative as a whole feels like the aftermath of a season finale we didn’t get to see. Much weight is given to a failed exorcism that ended with a little girl’s soul being taken to hell (and Constantine’s own as punishment), but despite a short flashback, the show doesn’t give any reason to care for or emotionally invest in it. While it’s good for the show to have some mystery to it, there’s a difference between creating an intriguing mystery and keeping so many secrets that it’s hard to even care what they are. The show tries to cram so much information into its pilot making the world of Constantine seem like it could use more fleshing out. 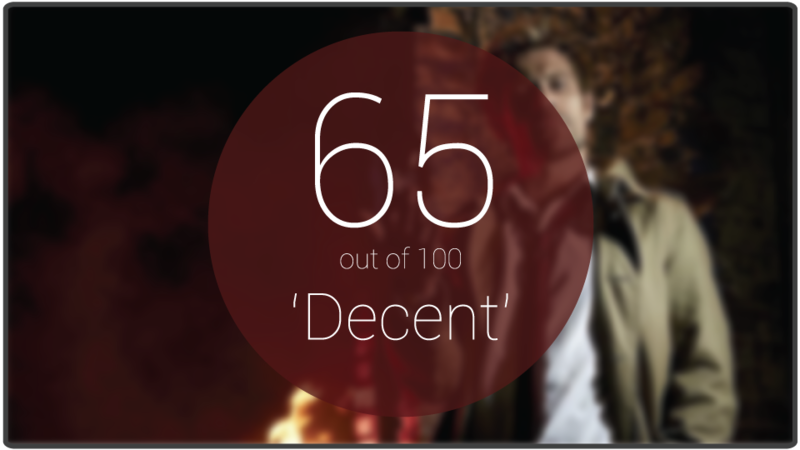 The technical aspects of the episode fair decently, with Game of Thrones director Neil Marshall giving the show a suitably seedy feel, with a color palette full of blues and yellows that really help to reinforce the feel of an underworld ruled by magic. The pilot boasts a few good set pieces, particularly whenever Constantine is casting spells or enacting rituals. However, the effects on some people, particularly a demon seen in flashbacks and the angel wings on Manny, can look rather low-budget. It’s understandable that the show is working with a budget, but with its contemporaries like The Flash and Arrow doing great things with similar constraints, a bit more effort would be appreciated. Overall, the spirit of Constantine is decent. The character has been brought over pretty faithfully and remains as entertaining as ever. It’s the world the show is building around him that needs work. Constantine has a whole treasure trove of great stories and characters to pull from, but aside from a few easter eggs, it seems to be keeping its roots at arm’s length. It has all the makings of a great show, but it needs to step its game up if it wants to compete with similar fare like Supernatural. And Constantine has a very unique world that could make it the horror-infused superhero show both DC and NBC want it to be. The writers wrote Liv out, so that’s one problem fixed. There’s a ton of potential, but Constantine has hit a few stumbling blocks with its debut, so only time will tell if the spell it’s trying to cast will be successful. What did everyone think of ‘Constantine’? Are you glad Liv is gone or wish we had more time with her? Cast your comment spells in the section below.